Containment Protocols: Current handling of RPC-713-1 instances and containment is split between multiple Authority research and field agents planted within various major merchandising, publishing and art industries. Public exposure of RPC-713-1 instances is to be kept to a minimum by personnel upon discovery. Appropriate response to the exposed instance will be determined upon analyzing any possible security risks they may pose. Authority web crawlers have been set up for cross-referencing recorded photos and depictions of archived anomalies with any pieces of media holding strong resemblance to them. Located media will be archived and removed via standard online purging methods. RPC-713-1 instances may manifest through either a non-anomalous series of events, such as an individual producing a non-anomalous item of sorts with the physical appearance (If at all possible) of the anomaly, or as the sudden discovery of landmarks or locations with nearly identical physical appearance to the corresponding anomaly. Discovery Log: It is unclear exactly when RPC-713 initially began manifestation. It is theorized that RPC-713 has possibly existed for longer than the Authorities establishment and has been responsible for a majority of cultural influences regarding fictional works, present interpretations of folklore and myths and trends. Research has shown RPC-713 to more likely manifest instances of RPC-713-1 that resemble containment RPC items. While many instances display an obvious security risk, various instances of RPC-713-1 have been left uncontained. This has been allowed as such resemblances are not enough to cause any major awareness of abnormalities in the public eye. Furthermore, certain RPC items sharing characteristics of non-anomalous RPC-713-1 instances has proven useful in maintaining general feelings of skepticism towards the existence of the anomalies they depict. To date, RPC-713 has been used to convince the general public that multiple sighted anomalies have simply been hoaxes. Instance: A series of paintings titled 'The Crying Boy', created by French painter Giovanni Bragolin. A rumor of these prints being ‘cursed’ began in 1985 when multiple houses which had been burnt down were reported to have each contained a copy of the piece that remained untouched. Notes: Child depicted in prints appears physically identical to RPC-████ at a younger age. Whether the fire-related nature of the supposed 'curses' is connected to RPC-████s anomalous properties is unknown. Instance: Mass reports and sightings of the modern depiction of 'Kuchisake-onna', a Japanese cryptid that gained attention during the Nagasaki Prefecture in 1979. Initial Location: Various locations throughout Japan; primarily small towns. Instance: Popular horror story and fictional character [REDACTED]. Anomaly Depicted: Unregistered humanoid anomaly. Initial Location: Various internet sites. Currently spread to multiple cross-media platforms. Status: At large. Containment attempts are ongoing. Instance: A natural gas field located in an underground cavern, dubbed the 'Darvaza gas crater' or 'Door to Hell'. Outwardly identical in shape and measurement to the original anomaly. Instance: A piece of street art depicting a screaming face with hands on a black background. Notes: Extensive questioning and the use of mental probing techniques revealed that the original artist had never encountered RPC-033 themselves. Artist claimed the painting to be an original idea. 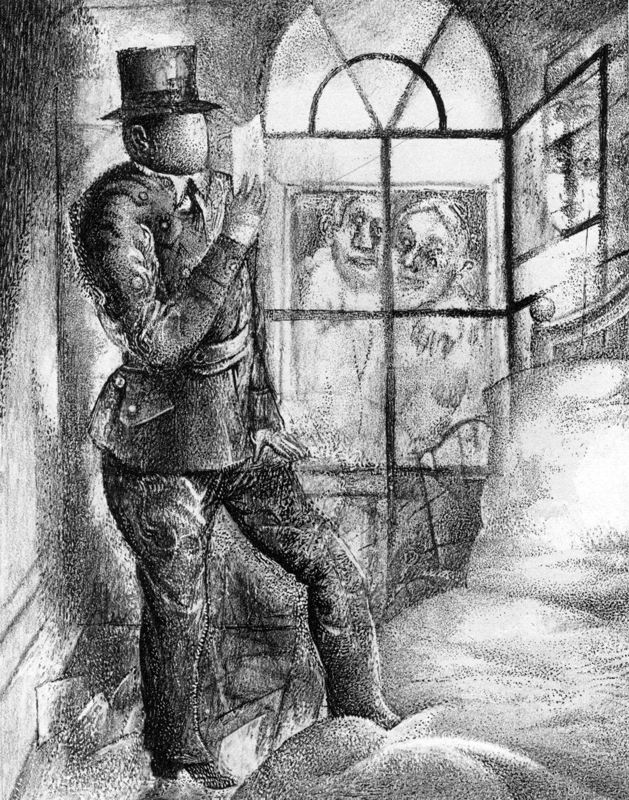 Instance: An illustration from the 1983 publishing of ‘The Trial’ by Franz Kafka. Illustration depicts a lieutenant from the opening chapter of the book. Status: No action; picture simply resemblances a single artist's loose depiction of the actual anomaly. Notes: Instance appeared identical in design and even art style to the original illustration despite no other copies existing. Instance: Non-anomalous female actress, Lauren Bacall. Born approximately two years apart from her original counterpart (16th of September 1924). Notes: Instance bore an unnaturally physical resemblance to the anomaly. Instance: Sculpture depicting a bloody teapot with humanoid fingers protruding from its bottom. Created by ceramics painter and artist, Sarah Duyer. Status: Bought by an Authority agent. Instance: A series of gas stations operated by multinational Canadian convenience store company ‘Circle K’. Identical to a single instance of the respected anomaly in exception to the gas stations logo. Status: No action required. RPC-111 instances are vastly different in physical appearance to one another. Instance: Tony ██████. A human male of [REDACTED] decent. Physically identical to all instances. Status: Temporarily taken into Authority custody for questioning. Was released following confirmation that the subject was indeed non-anomalous.